Win a $75 Gift Certificate to Catch 35! Congratulations to Anastasia Porter on winning our thirty third High Five Giveaway and thank you to all who entered! 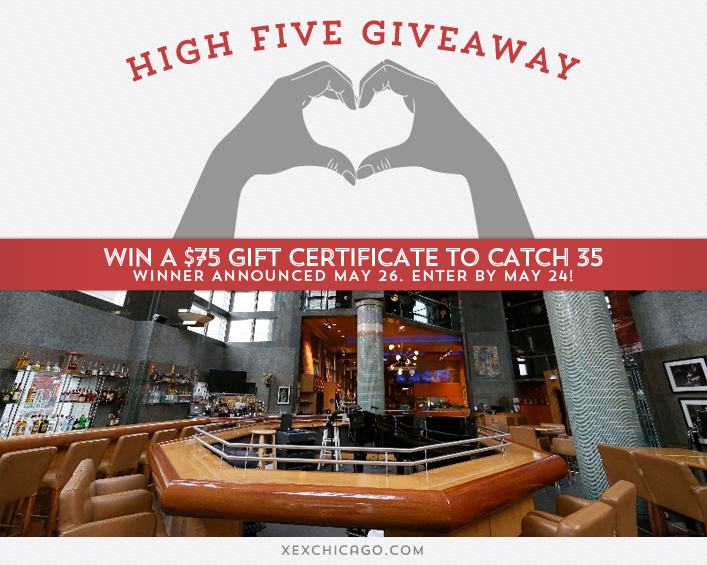 Our next High Five Giveaway is for a $75 gift certificate to Catch 35. If you have curly hair, should you wash/condition from the top down or bottom up? Now, just add a comment to this post with the right answer to be eligible to win! The winner will be announced on Monday, May 26. Entries must be received by midnight on Saturday, May 24. Wash it from the bottom up! Wash/condition from the bottom up. Wash/conditon from the bottom up. start from the bottom and work your hair up to the top of your hair! Start from the bottom and work your way up.